Interested in learning even more about the tricks of the advertising trade in order to be the very best social marketer you can be? While there are many tips, tools and methods that you can utilize, attending conferences aimed at like-minded people is the most surefire way to pack as much education into a few days as possible. 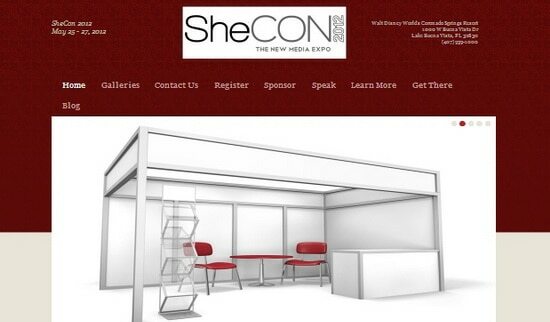 Organized by women and for women (but welcoming the less fair gender, also) is the SheCon New Media Expo, an event aimed at helping young entrepreneurs to successfully leverage the ever-evolving new media landscape into business success. With expected attendance of more than 500 social media experts and up-and-comers, the SheCon Expo runs for three days and offers an array of speeches, workshops and networking opportunities intended to educate and build a new group of successful women in business and marketing. Boasting lower registration costs than ever before, this year’s iteration of The Social : Mobile : Payments Conference will focus on exploring the new ways that the so-called generation “M” interacts with brands, companies and the products they buy. Presentations will be offered by some of the best and most successful minds in social marketing, mobile connectivity and mobile payment technology, helping to guide you and your business into the future of cutting edge technology and marketing. Broken down into three separate segments (social, mobile and payments), this conference aims to give you solid, usable information and advice regarding the ever-evolving technology landscape that your business depends on, helping you to turn that new knowledge into increased competitiveness and profitability. Small businesses have always relied on savvy marketing and unique products in order to stay competitive with the giants in their corner of the commercial world and that trend continues today with the emergence of social media and its free marketing potential. Given its no-cost status, millions of people advertise their products and services on Facebook every day, but only the ones in the know are able to turn social marketing into real success for their business and theAllFacebook Marketing Conference offers the opportunities and tools that you need to become one of them. Learn new strategies and meet new, like-minded business professionals, ending the conference only to apply your newly-gained knowledge to your own small business endeavors. Social Pulse 2012 is a business-focused conference aiming to spread awareness of social media marketing, helping its visitors to increase their advertising ROI while offering advice on many other facets of general business as well. If your business depends on perfect money management and slim marketing budgets, the presenters and workshops to be found at Social Pulse 2012 are for you! While both men and women are invited to intend, the BlogHer 2012 conference is another female-centric social media convention offering expertise on both general blogging and business issues that relate more particularly to women in the blogosphere. With presentations covering social media expertise, writing and content creation, blog management and especially lady-friendly niche topics, BlogHer offers something for every online professional and blogger! Are you going to attend any social media events this year? Please let us know! Next story What Surprised You About Social Media in 2011?